If you were the first time visitor in a church, would you want to be introduced publically to a group of people you didn’t know, hadn’t met, and may not see again? Your own answer to that question may give you a clue as why that is a bad idea. Don’t introduce first time visitors. Introduce your church instead. In my first church, I used to invite visitors to stand up and introduce themselves. I no longer do this. One time, a visitor didn’t volunteer to stand up and I stared them down until they did. Singling out this church visitor who wanted to remain anonymous was poor judgment on my part and a failure of church hospitality. That visitor never returned and our church failed to influence that person for Christ. I didn’t realize how uncomfortable that was until I was asked to stand up in front of a group of over 200 people and share my name and where I was from. In our North American culture, this is less and less comfortable and is becoming a custom that should never again see the light of day. Read more: Should we single out First Time Visitors? 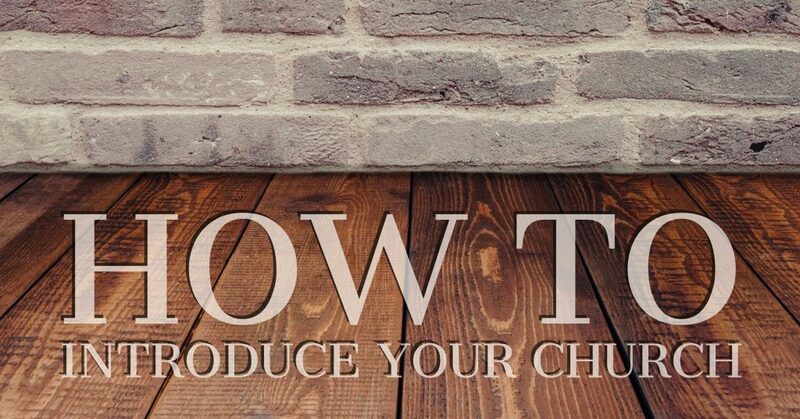 Instead of introducing visitors, introduce them to your church and it’s mission. Your liturgist, campus pastor, preacher should give a public welcome to your first time visitors. This doesn’t have to be long and dull. In many places I have visited over the last two years, this is short and to the point. Welcome to First Church. If you are a first time guest with us today, or the first time in a long time, we want to give you a special welcome. At First church, you’ll find a family of faith where you can grow spiritually, and find a place to serve as a blessing to the community. No matter if you are broken, or have it together at this moment, welcome to your family. No matter if you are a follower of Christ seeking a church home, or a person searching for answers to your questions, welcome home to your family. If you want to know more about our church, fill out the connection card and then visit us at the Next Steps table. Do this every Sunday, unless your church is small enough for you to notice that you have no visitors. If you have no visitors, that’s a problem to think through elsewhere. Some regular attenders will protest about hearing this every Sunday. To overcome this, remind them of your church’s mission to influence people for Christ and that this welcome is a vital word for your visitors to hear. When you introduce your church to your guests, always offer a clear next step to where they can go get more information or to ask their question. One church we visited for a few weeks invited guests to visit the “Green tent” out side. The teaching pastor that Sunday promised to meet their guests there. He was faithful to be there and make small talk with those who approached the tent. The church we attend now invites guests to the “Next Steps” Table. 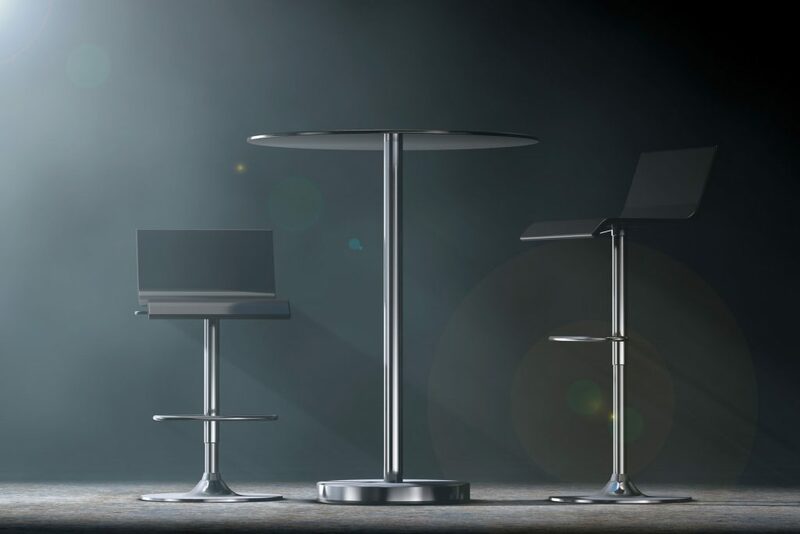 Because they have a large lobby, they have multiple bar height tables available for smaller conversations to happen. Each table is staffed every Sunday morning with volunteers. One church we visited invited guests to visit the “Connection Center” – a kiosk or table setup that was clearly marked. This table was in the lobby. By repeating this information week after week, you give your guests time and space to wait until they feel ready to take that step. You’ve been introducing your church to your guests. A clear next step will give them a chance to introduce themselves when ready. In a small church, a reception after your morning service is usually the place where this kind of interaction can happen. When your guest comes to your welcome place, they are ready to introduce themselves. Make meaningful small talk with them. Answer questions they might have. Offer to point them in the right direction or connect them to a person who has answers. This time after the service often allows people to stay for another hour (and sometimes 2) after the service is over. People pray for one another. Enough of an initial relationship can be established that encourage further church visits. A Connection Event is the best place to continue to introduce your church to your returning guests. Mention it in your introduction every Sunday, or as appropriate for your church schedule. Share the event on social media and in your regular promotional announcements. In the church we visited while planting one, their connection event was a monthly home cooked Pastor’s luncheon. We were invited from the front, by an email, by a phone call the week before, and an email reminder. They did a good job at getting us there. The food was good, and it was our chance to hear about the vision and ministry of the church. In the church we attend now, their connection Event is their four week membership class called “The Journey.” We have completed it and learned about what it means to be a regular attender/member at this church. This type of event is where your first time guests can come and start making new friends. We still see the people from our Journey class, though we’ve now found a small group that is a better fit for us. What has been your experience in introducing visitors? Would you want to be introduced, or would you rather wait until you have visited enough to want to learn more about the church.